Epilepsy is a chronic neurological condition that affects one in 100 South Africans. Although it cannot be cured, it responds well to medication. It presents in the form of seizures. Various diagnostic tests, ranging from blood tests to electroencephalography, or EEG, are used to determine the severity and probable cause of the condition. In terms of medical aid legislation, epilepsy is one of 270 “Diagnosis and Treatment Pairs”, or DTPs, eligible for prescribed minimum benefits (PMBs). This means that medical aid schemes are required to cover costs associated with the condition, including the costs of diagnostic tests and treatment. 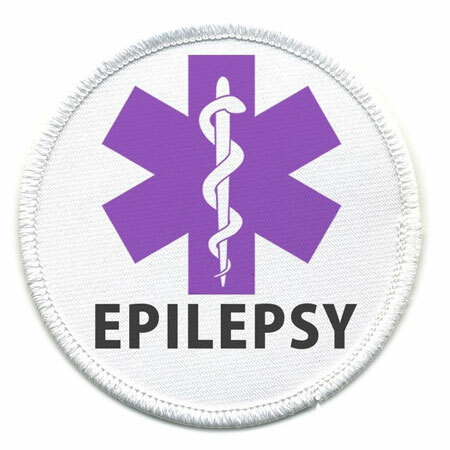 Epilepsy also qualifies as a chronic condition and appears on the Chronic Disease List (CDL) used by medical aid schemes. As a result, medical aid schemes are required to cover the cost of chronic epilepsy medication after any applicable exclusion. Medical aid schemes are expected to adhere to a prescribed set of guidelines that defines the optimal medical management of the condition. However, medical aid schemes are entitled to require members with epilepsy to use specific, network-linked healthcare providers and formularies, or lists of preferred generic and branded medications. Here we explore three South African medical aid schemes and the benefits they provide for chronic conditions such as epilepsy. Resolution Health has a CDL benefit that covers 2 consultations per year or more if authorised. two annual specialist visits following diagnosis. All Resolution Health options include a chronic medication benefit. Medicines must be obtained from designated service providers (DSPs) and are restricted to clinical entry criteria, disease management protocols and formularies, which differ according to the level of cover. Medicine reference pricing and generic reference pricing may apply. Note that this year, there is no DSP appointed yet in terms of pharmacies. Supplementary benefits include cover for specialised radiology such as CT scans and MRIs. The amount of cover varies according to the option a member is on. The high-end Supreme option, for example, offers benefits up to R15,900 per family per annum at 100% of the scheme rate. Cover is subject to scheme protocols and co-payments apply. In addition, the Supreme plan covers an EEG for epilepsy surgery, up to a cost of R13,500 per family per annum. The entry-level Foundation option, on the other hand, provides cover only for network service providers and is subject to scheme protocols and PMBs. Medshield: An appropriate and affordable treatment plan is devised together with the member’s healthcare provider, and payment is authorised quickly and efficiently. Like other medical aid schemes, Medshield provides a chronic medicine benefit. Registered members must use network pharmacies and any out-of-formulary medications attract co-payments of 40%. The level of cover, and the applicable formulary or medicine list, varies from plan to plan, with greater cover for plans with higher monthly contributions. Bonitas offers mainstream chronic benefits in all its plans. Cover is subject to pre-authorisation by chronic medicine management. The level and scope of cover varies according to which plan option members are on. Three of the five options - Primary, BonSave and BonEssential - provide only the prescribed minimum benefits at designated service providers or a co-paymet will apply. Benefits are subject to medicine formularies, which vary depending on the option and associated level of cover. High-end plans, such as Standard and BonComprehensive, offer comprehensive formularies. Once the benefit limit has been reached, a restrictive DSP will apply. The top-level plans allow members to use any pharmacy or service provider up to the prescribed limit; thereafter PMBs are unlimited at designated service providers only. Our medical aid consultants have extensive knowledge of South African medical aid schemes and the cover they provide for chronic conditions such as epilepsy. Let us know about your individual healthcare requirements and we’ll identify the best schemes and options for you, based on the level of cover you can afford.